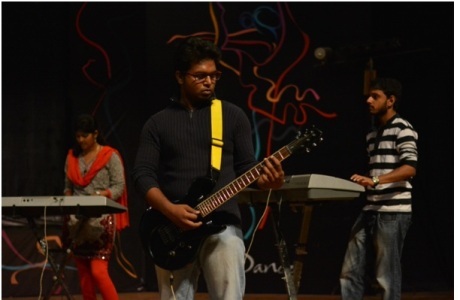 2.Audition for “Fresh Face 2013” Organized by Times of India was conducted on 13th August 2013. 4. 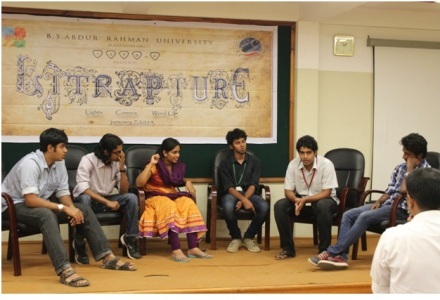 Litrapture 13/14 - Chennai's official literary fest was conducted by Literary Club of our University on 7th January. 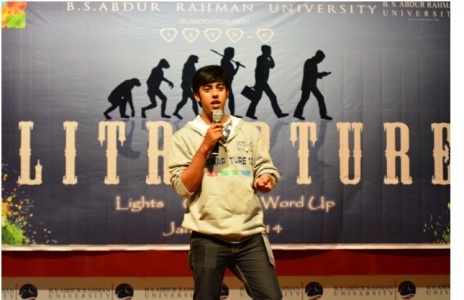 The winners of Literary Day event had competed with the other college Students in Litrapture 13/14. 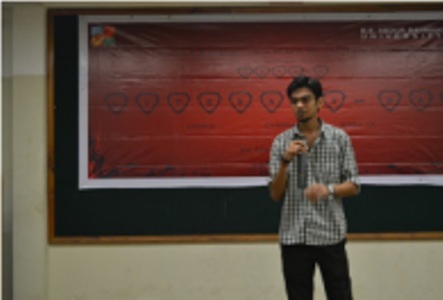 5.CRESHUNT 14 – Talent Hunt Programme of our University was conducted on 15th February 2014. 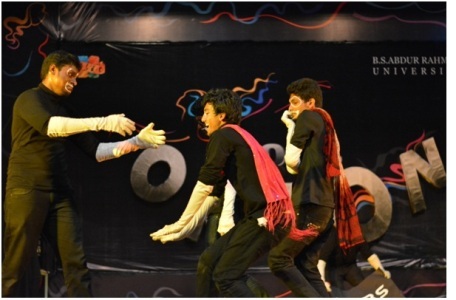 This cultural event gives us a platform for showcasing the talents of our students, based on their leadership and organizational skills. 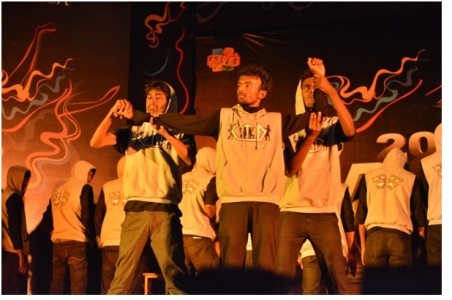 6.ORION 2K14 - the Intra college cultural fest was conducted on 21st and 22nd March 2014. 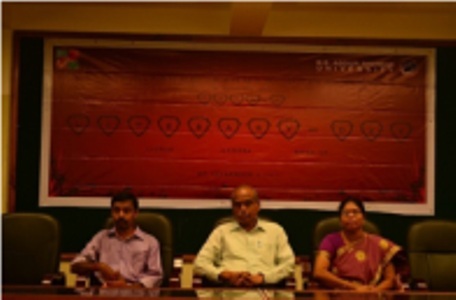 CRESTECH 2011, a National level technical symposium was organized on 27.09.11, 29-09- 11, 30-09-11 and 01-10-11 by 9 Engineering departments. 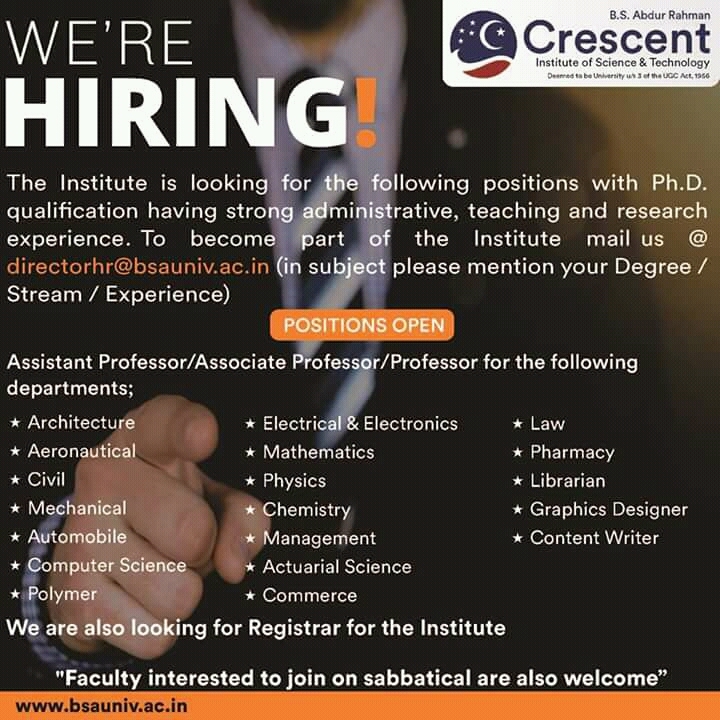 The societies of the various Engineering departments conducted events viz technical paper presentation, technical quizzes, design contests, robotics, debugging contests etc., for the participants students from other colleges. Intra college event Literary Day which is a unique venture of ISTD was conducted on 25th August 2011and 60 participants participated. 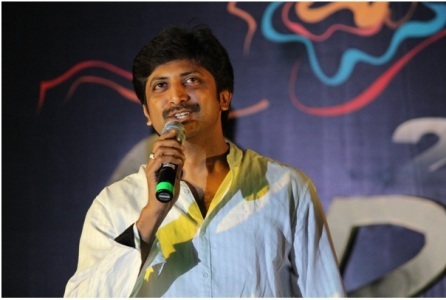 The events organized include such as JAM, Block and tackle, creative writing, shipwreck which were a huge hit and instilled in student's mind that literary can be fun too. 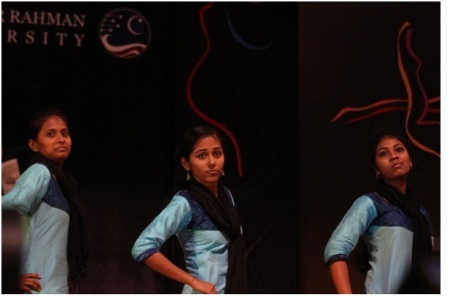 Inter college event Literapture ’11 (a one day long literary fest aims at ameliorating the literary skills of the interested students by organizing events such as JAM, Mock Interview, Dumb-C, e-quiz and much more) was conducted on 15th September 2011. Where in students from various college in city and suburban participated. 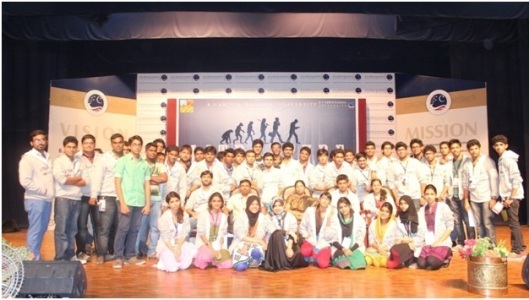 Our students participated in the NOKIA GIZMOLORDS QUIZ, competing against 10 other colleges hosted by Mr.Rajiv Makhani from NDTV held on 9.11.2011 in our university auditorium. 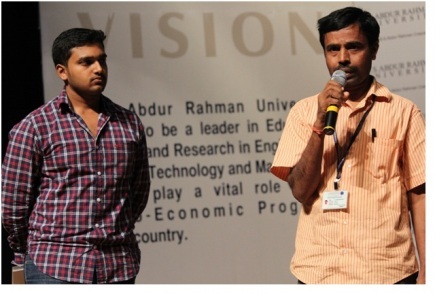 Akshath and Bettu of second year Mechanical Engineering students performed outstandingly and won prize, NOKIA LUMINA 800 mobile each as the prize. 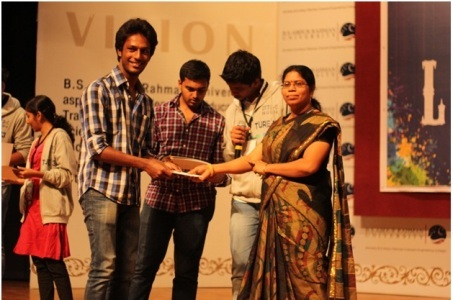 A group of 8 students from our university took part in the debate show “Peridhinum peridhu kel” in Star Vijay TV held on 26th November and C.Praveena Reddy got the STAR SPEAKER award . 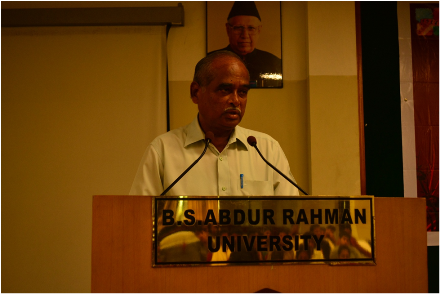 Inter college event Literapture ’11 - a one day long literary fest which aims at ameliorating the literary skills of the students was conducted on 15th September 2011 which saw a massive response and participants from all our Chennai poured into B.S.Abdur Rahman University. 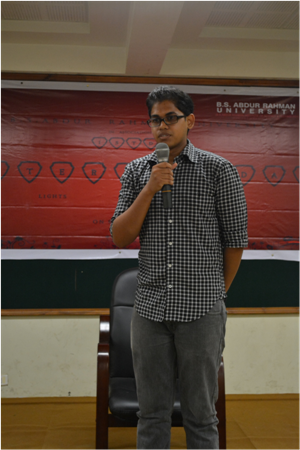 Short film team headed by Media Head Ejazith – got the first in CMC college and it was also nominated for the international short film competition. 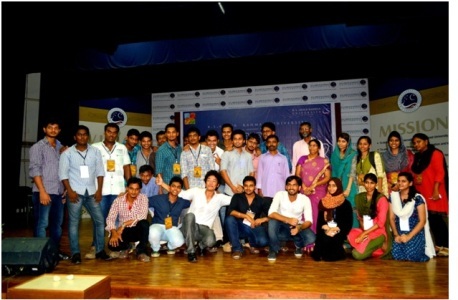 Fashion team of our University won 1st place in MMC and they bagged prizes worth 1 Lakh in December 2011 . 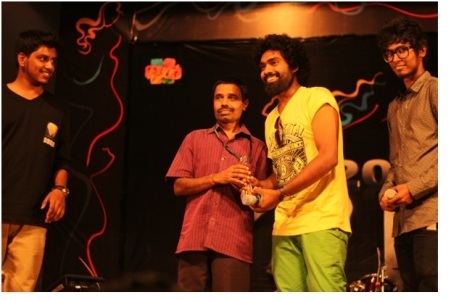 They also won 3rd place in CMC. 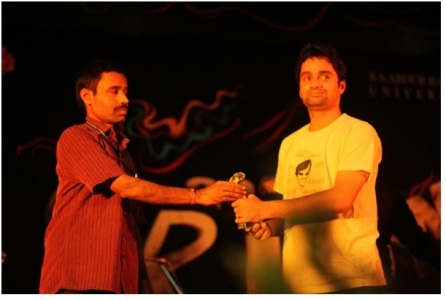 Our University Dumb c team won - first prize in CMC and 3rd prize at MMC in December 2011. 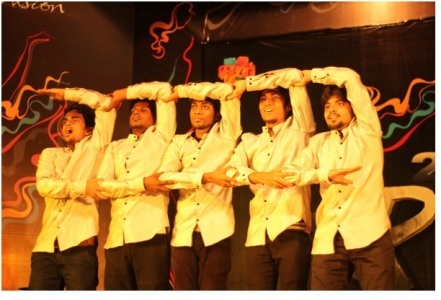 Two day Cultural Festival ORION was conducted on 9th and 10th March 2012. 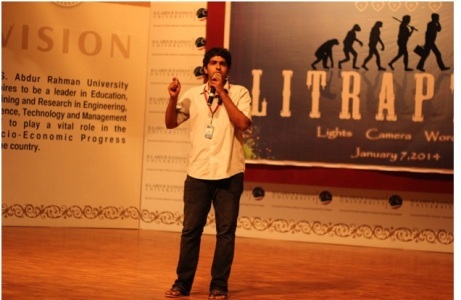 Litrapture 2012, an inter college literary programme was conducted on 18.09.12. 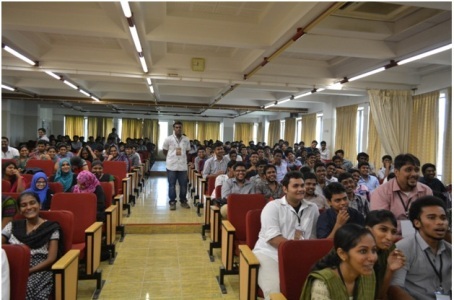 350 participants from 60 colleges participated. 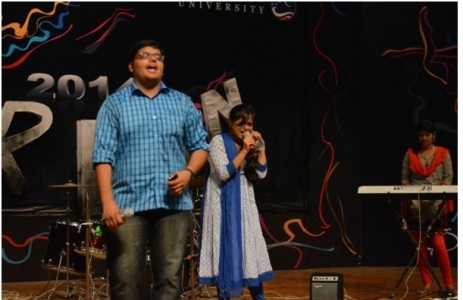 Students exhibited their talents in the events like Events JAM, stress interview, Dumb-C, Quiz Block or Tackle, Short film, Creative writing. The following two clubs have been formed.